Hypnosis isn’t just a party trick utilized by magicians for entertainment. Clinical Hypnosis or Hypnotherapy is a legitimate alternative form treatment that has changed the lives of millions. Using the science of neuroplasticity, which, in the most basic terms, is essentially the re-wiring of the brain’s neural pathways and processes as a means to alter behavior and ultimately break unhealthy habits and halt subconscious, negative impulses, it has the potential to effectively improve your entire quality of life. 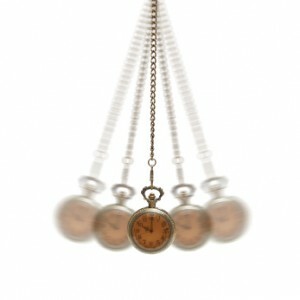 Medical Hypnosis isn’t an instant cure, but a process. At Gluck Solutions, we offer a winning combination of intensive Hypnotherapy and Rational Cognitive Coaching, or counseling, thus eliminating your issue at it’s core by really working through it, attacking it from all angles. Life is good at throwing surprise curve balls and due to a lack of preparedness or external environmental conditions, sometimes we don’t have the proper skill set to healthily cope, so our minds and bodies revert to what we are most familiar and comfortable with, in order to get through the day. However, these habitual reactions or defense mechanisms can be detrimental to your overall health. I want to help you cope the right way, by providing you with the right tools to end your suffering. If you’ve been grappling with issues listed above, or perhaps are dealing with something else and curious if you could benefit from Hypnotherapy, then please call my office today and set up an appointment. (212)-599-3195. This entry was posted in Gluck Solutions, hypnosis nyc and tagged hypnosis nyc, hypnotherapy by Dr. Errol Gluck. Bookmark the permalink. Silly question.. Can I be made to hate using cocaine? Just the thought of using making me physically sick? That’s not a silly question Debbie. It’s totally valid and I say it is because you can hate the very thing that you are addicted to. The same would apply for a toxic relationship or even substance abuse.